POISED at the top of a steep pitch, seeking out my fresh line through the ghostly frozen birch trees, I still can’t believe I’m finally here. For the past 20 years, skiing in Japan has been my Holy Grail. I’m standing at the top of Mt Kenashi (1,650m) in Nozawa Onsen, about to dip into powder from the side of the reds accessed from the top of the Yamabiko area we’ve been sessioning all morning. Despite the fact it hasn’t snowed for a few days, we’ve been getting fresh tracks each and every time. Everything you read about Japanese snow is true. It’s so incredibly light and dry that even those words don’t do justice to the feeling that you’re actually floating through it, as you would a bed of goose down. I’m partway through a Ski Safari tour of the Nagano and Niigata ski resorts in the Japanese Alps. Just 170 miles from Tokyo, Hakuba Valley has ten separate resorts covered on one lift pass, and the charming Nozawa Onsen, with its safe tree skiing and public onsen baths, is a must-do on any keen skier’s itinerary. The whole Hakuba region enjoys wide, open runs on mountains that appear remarkably Alpine. Hakuba Valley is accessed via a four-hour drive from Tokyo or a three-hour trip on the Shinkansen (bullet train). I drive up with a group of friends — our mission is to scope out as many resorts as we can for a week and, with all of us dragging our own equipment around, hiring a car is the best option. We’d started at the four-star Tokyu Hotel in Happo-One, one of Japan’s biggest resorts. Some 80 per cent of visitors to the Tokyu are international, so a mix of Japanese and Western breakfasts are the norm. 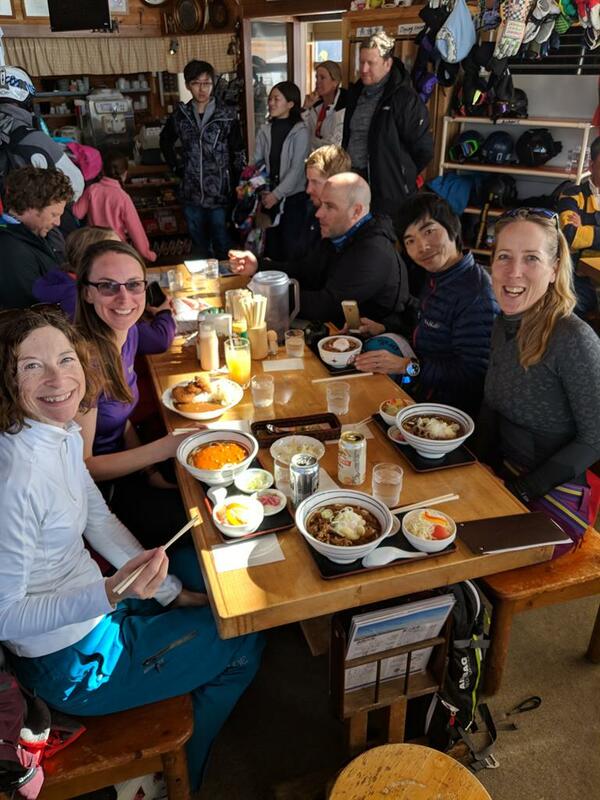 I’d come to Hakuba after a week-long tour of lesser-known resorts in Hokkaido, breakfasting on raw eggs and raw fish which even I, a seasoned traveller, found hard to stomach (you need your energy). Breakfast aside, the food in Japan is a joy — and great value. In the Panorama restaurant at Happo-One, for example, a chicken ramen or a stir-fried pork with vegetables and rice, with miso soup to start, will set you back ¥1100 (£8). Wash it down with a beer (Japan has some of the best in the world) for ¥500 (£3.60). Hakuba has been put on the map in recent years by its addition to the Freeride World Tour. But if you plan on replicating the world’s best freeriders, only go with a guide. In these resorts, if you go off the marked runs, you risk having your lift pass taken away. That said, in some resorts, backcountry skiing is far better accepted: in Cortina (a half-hour drive from Happo-One) we ski the backside down through birch trees with local guide Muta San, head through a dam, then back to Cortina — a 40-minute round trip I could happily lap all day. We next take in little-known ski area Shiga Kogen in the Niigata prefecture, made up of 17 smaller interconnected resorts that share a lift ticket. 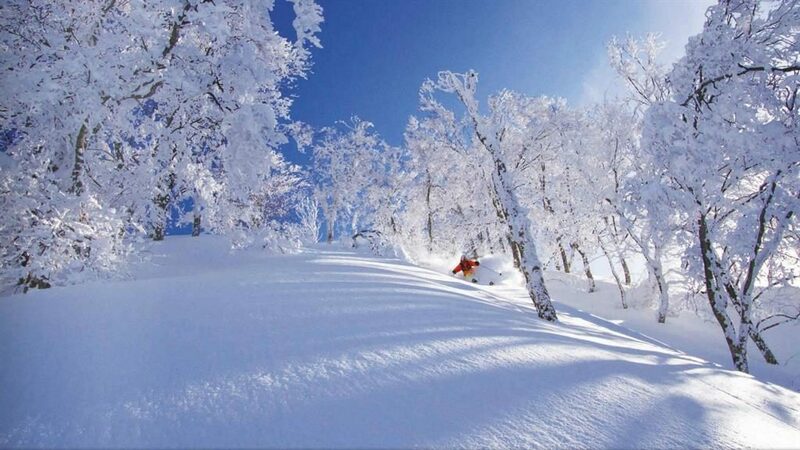 We ski the area from our base in Okushiga Kogen — with bountiful powder even on the piste, there’s no guide needed. Eventually, though, our skiing time is nearly up and our last stop is Myoko. The resort has a chilled vibe; I hear lots of Aussie voices while strolling the town, with one bar, the Full Circle, even serving VB (Victoria Bitter). I’m happy just soaking everything up and marvelling that everything I’d dreamed skiing in Japan would be is all that and more. 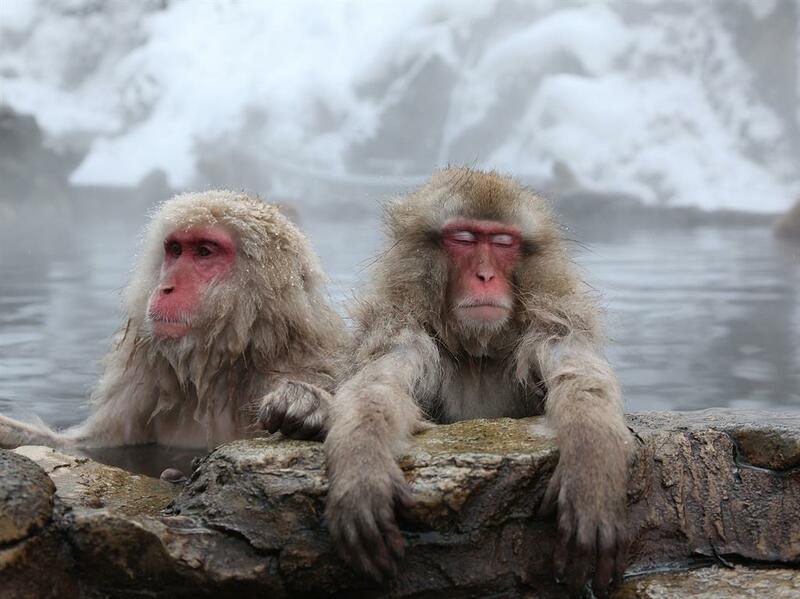 Don’t come away from Japan without visiting the Jigokudani Snow Monkey Park (en.jigokudani-yaenkoen.co.jp), a 40-minute bus ride from Nagano station. Some 20,000 visitors a year swarm this place but it’s incredible seeing the macaque bathing in the hot springs water pools in the valley of the Yokoyu River. Adding on a couple of days in Tokyo is a must too — Japan is nine hours ahead of GMT and the time difference makes for hefty jet lag.